Guatemalan Foreign Minister says her country's decision to move its embassy to Jerusalem shouldn't affect ties with other countries. 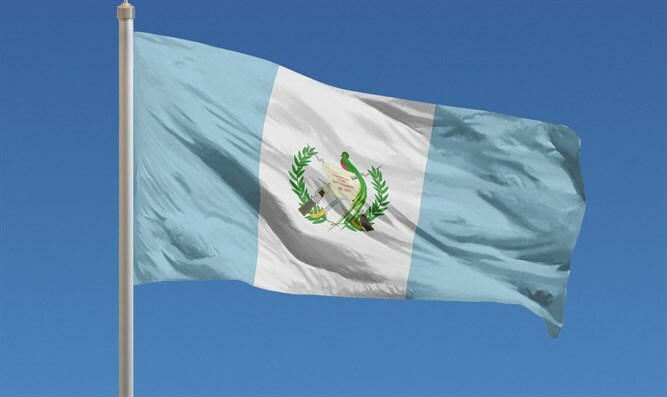 Guatemala on Tuesday said its decision to follow the United States in moving its embassy in Israel to Jerusalem was a "sovereign" matter that should not affect ties with other countries. "These are Guatemala's foreign policy and sovereign decisions," the country’s Foreign Minister Sandra Jovel told a news conference, as quoted by AFP. "In any case, we are open to being able to converse with countries that see it as such, but I don't believe it will create any sort of problem with other countries," she said. Guatemalan President Jimmy Morales announced on Sunday that he was ordering his country's embassy to move from Tel Aviv to Jerusalem, following a conversation with Prime Minister Binyamin Netanyahu. The announcement made Guatemala the first country to follow the United States in saying it was moving its embassy. Guatemala's announcement on the embassy move came after the UN General Assembly last week approved a motion rejecting U.S. President Donald Trump's decision to recognize Jerusalem as Israel's capital. Guatemala was of the nine countries that voted against the resolution. As was the case with Trump’s announcement, the Guatemalan move was met with anger in the Arab world. "The state of Palestine considers this as a flagrant act of hostility against the inalienable rights of the Palestinian people and international law," it added. Jordan’s State Minister for Media Affairs, Mohammad Al-Momani, said the decision is “a flagrant violation of international law. The Jordanian Foreign Minister, Ayman Safadi, described the Guatemalan move as an “absurd provocation”. Jovel told the news conference on Tuesday she had so far received no telephone calls "from any ambassador in relation to this issue." "What we are doing is returning our embassy from Tel Aviv to Jerusalem, where we had it for many years," she added, while also saying she did not know how long it would take before Guatemala's embassy was in Jerusalem. "I don't have a time estimate for this move, but I'm not saying it will happen tomorrow," said Jovel. She also discounted the possibility of Arab countries exacting economic consequences on Guatemala for its decision, something that had happened in the past, to reverse a similar move. A former president of Guatemala, Ramiro de Leon Carpio, who was in power between 1993 and 1996, had made a decision to move the embassy to Jerusalem, but backtracked when Muslim-majority countries shut off access to Guatemalan goods.